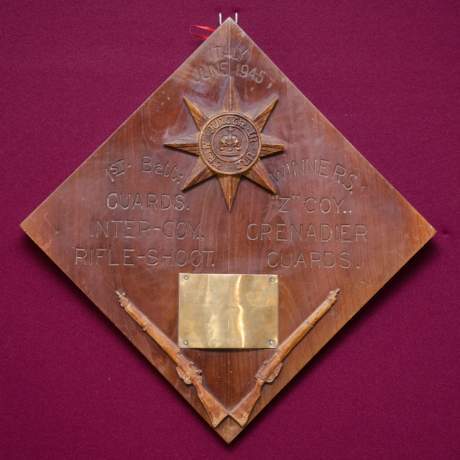 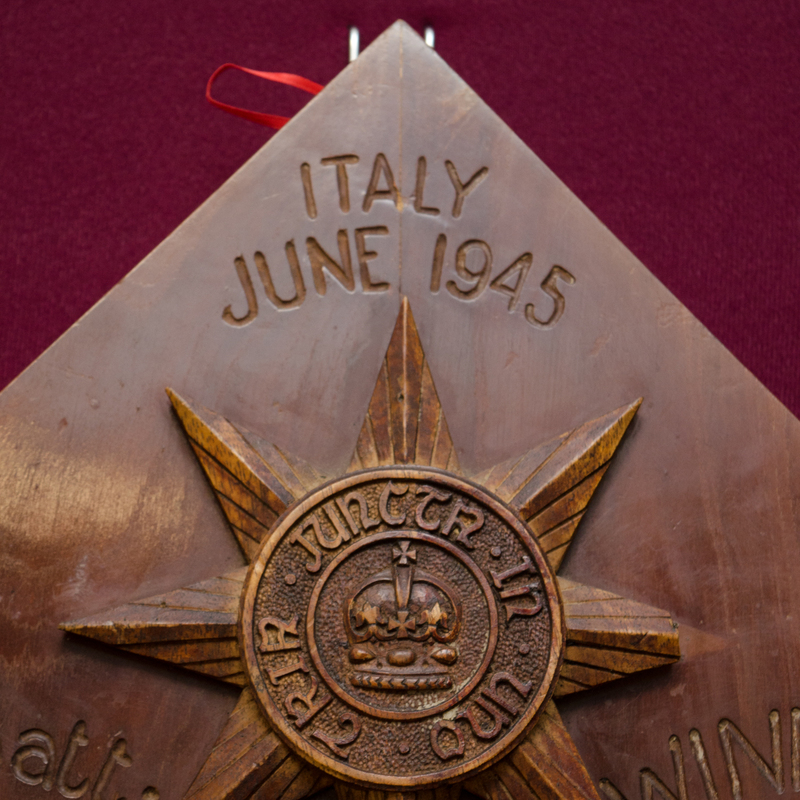 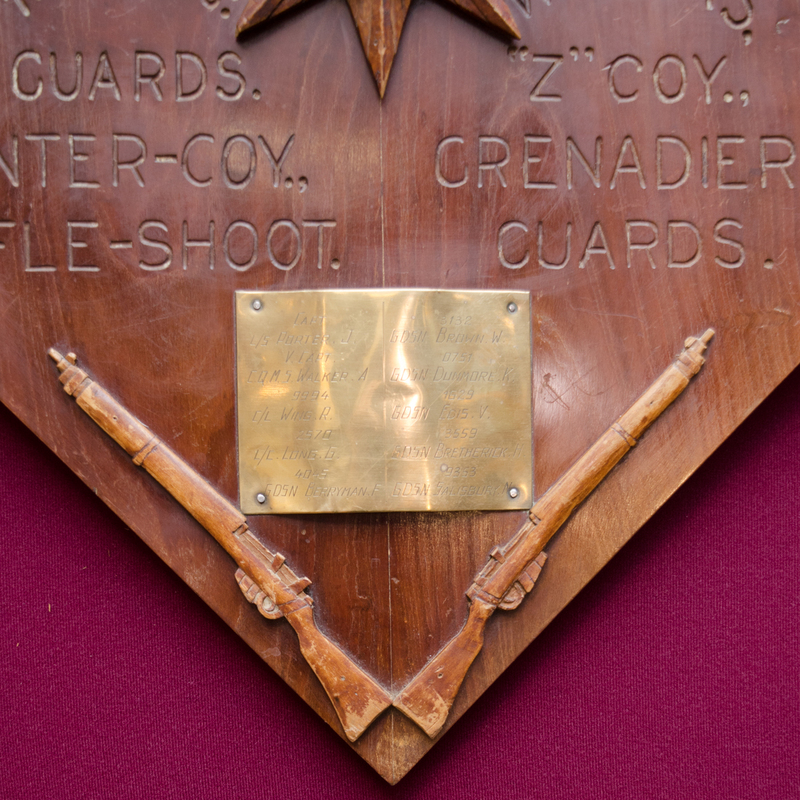 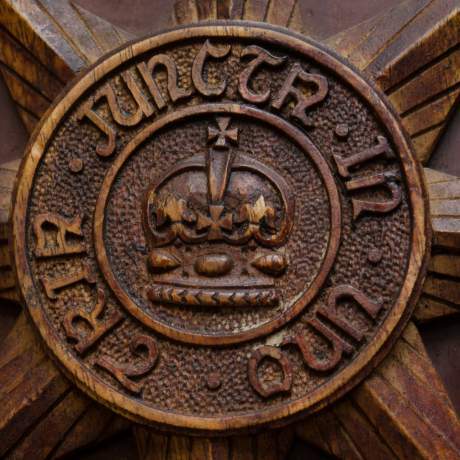 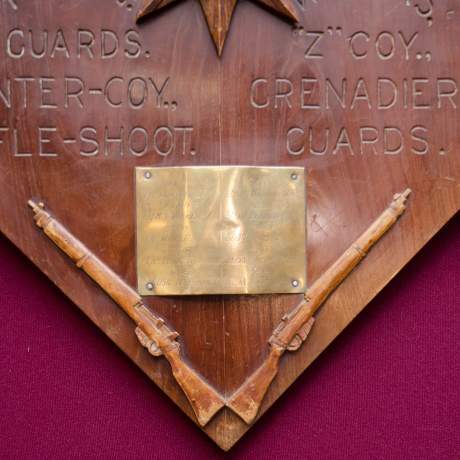 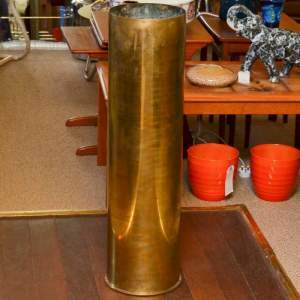 A rare shooting trophy from First Battalion Grenadier Guards, Italy 1945. Rare piece of Trench Art. 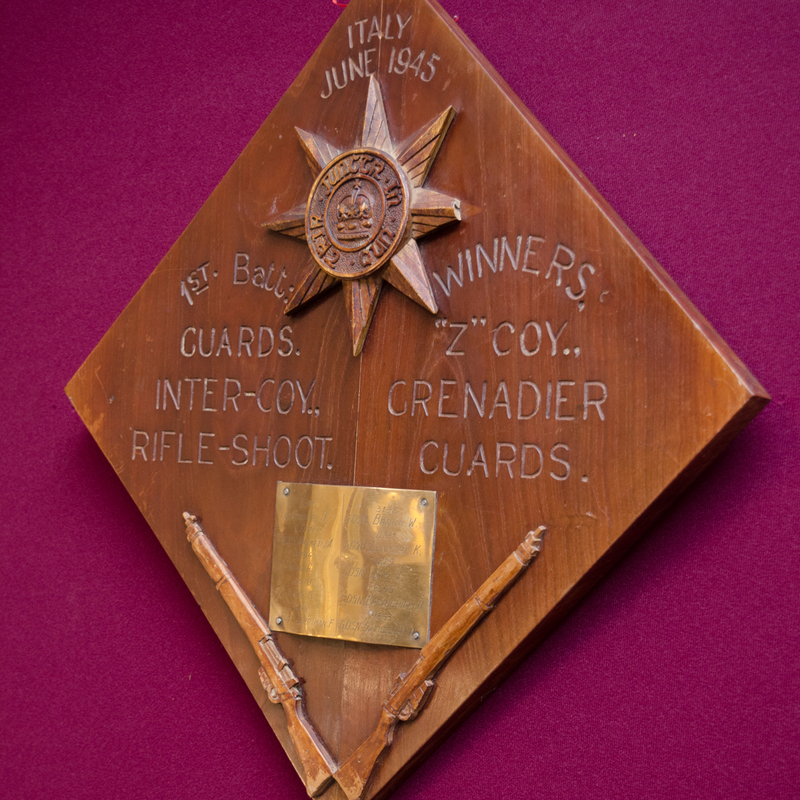 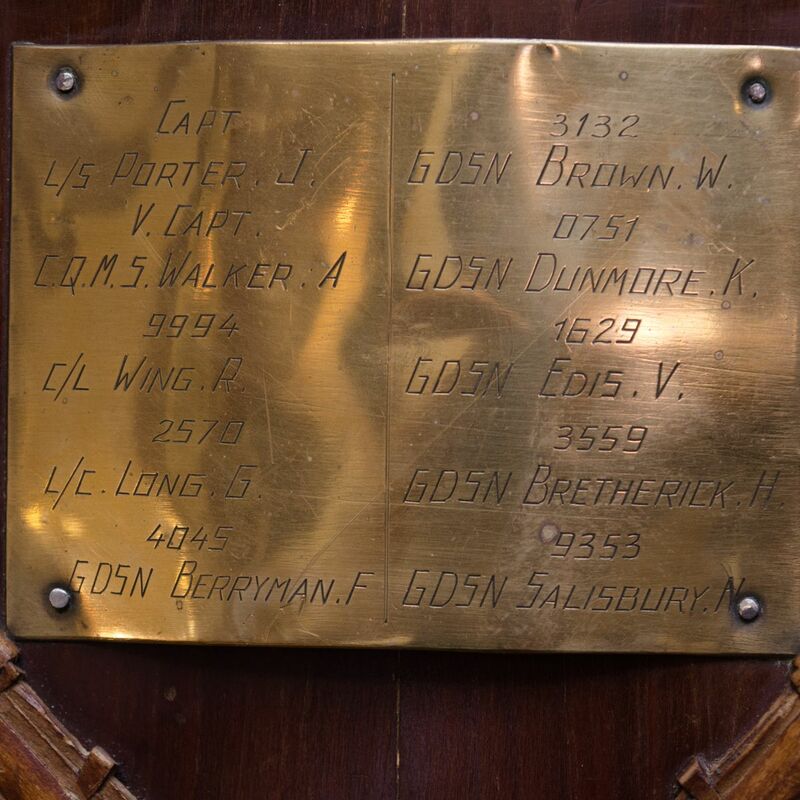 Inter Company Rifle Shoot, listing Z Company winners on Plaque.